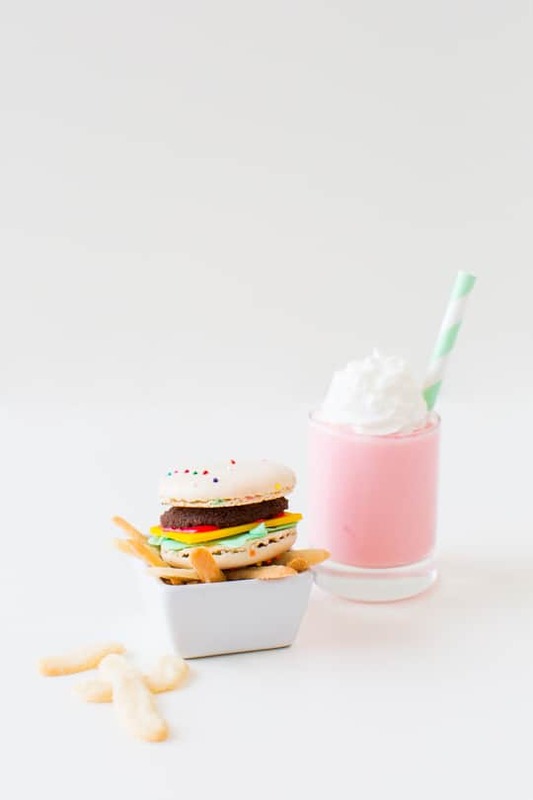 In honor of National Burger Day today, I wanted to name this post “DIY mini macaron cheeseburgers and fries… and milkshakes… and sprinkles”, but Google said that was too long, so just consider the mini milkshake and sprinkles an added bonus from me to you. Technically I would never have known it was National Burger Day if it wasn’t for Kelly (thanks for having my back Kel! ), but the point is is that I’m not one to pass up a good #glossaryofmacs opportunity anyways, now am I?! 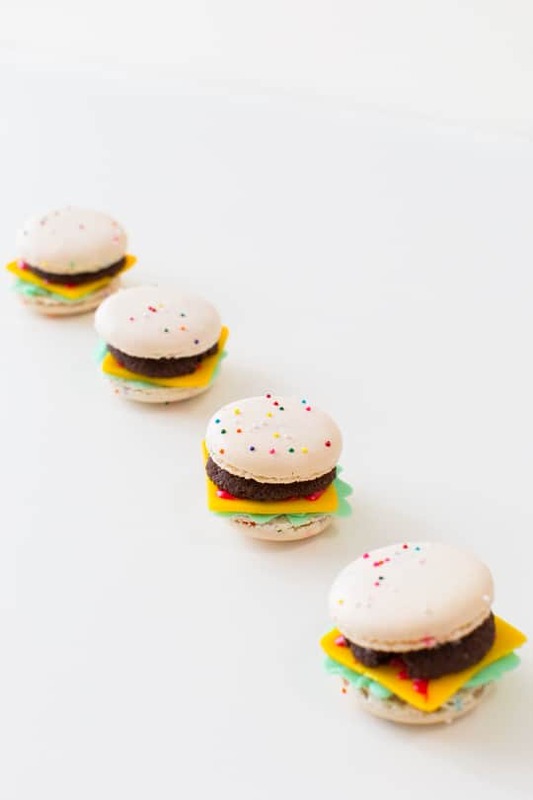 We used birthday cake macarons with sprinkles for the bun, but your flavor preference is fine! 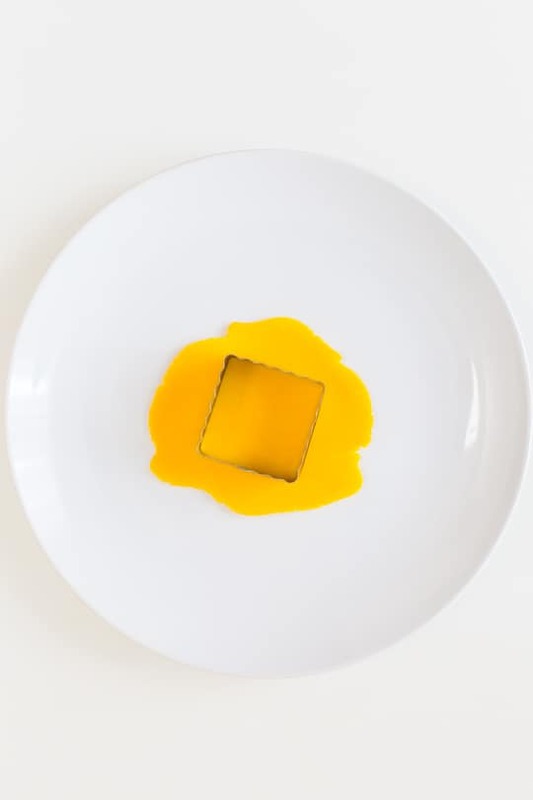 To make the “cheese”, roll out the Shape-n-amaze (or you can use yellow fondant for this too) and cut it into shape with a mini square cookie cutter, an set aside to firm up a bit. 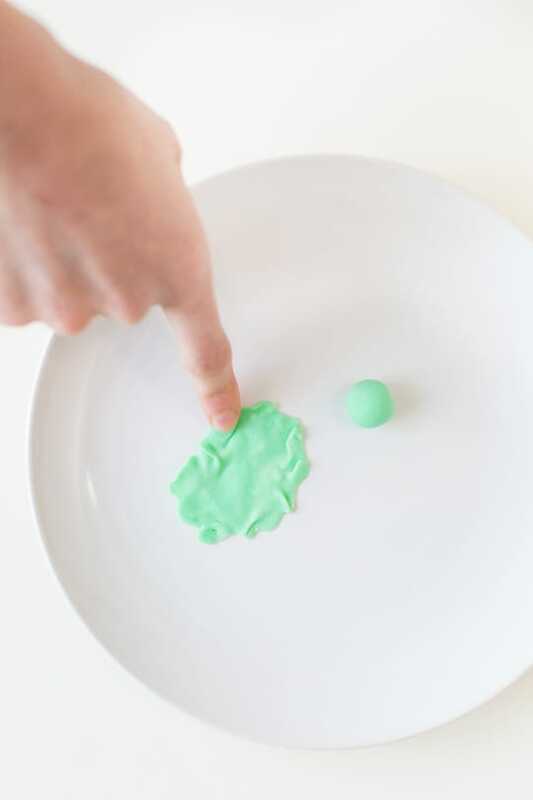 For the “lettuce”, make a small ball of mint green fondant, and start to spread it out with your fingers, spreading it thin around the edges. This will make it start to curl and crease randomly like to appear like pieces of real lettuce. 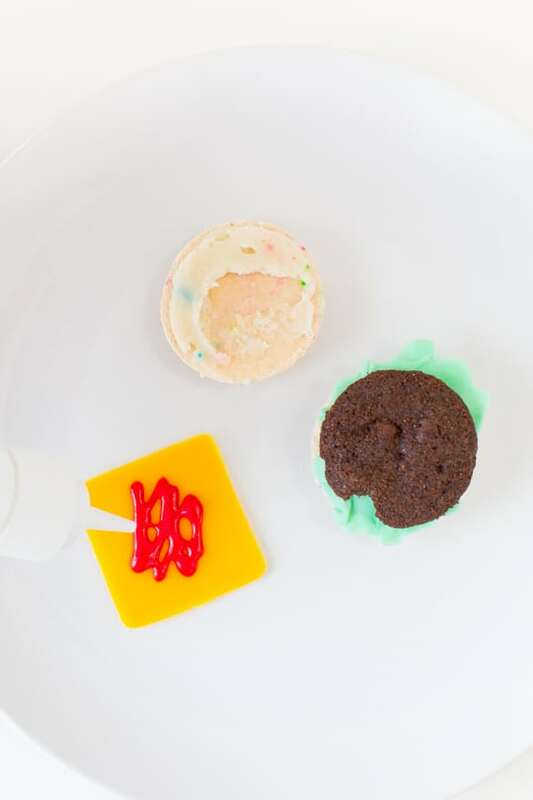 Once you have all of your pieces, assemble them with “ketchup”, aka red cookie icing, and place the layers together. I got pretty generous along the cheese layer so it would peek through to look like real sauce on a cheeseburger. 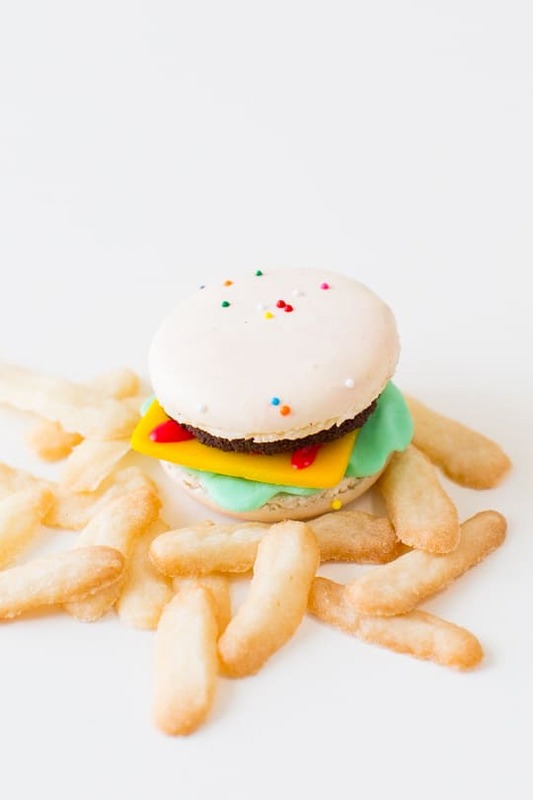 A macaron cheeseburger, that is. 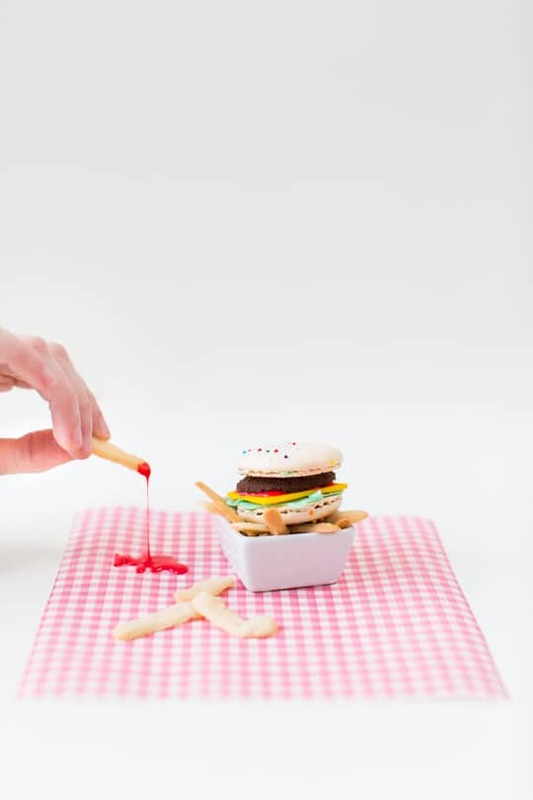 To make the french fries, cut a single tiny sliver, using a non-serrated knife, from the semi frozen sugar cookie squares. The slivers should only be about about a 1/4 of an inch thick on all sizes, and about an inch long, because they expand and rise a bit as they’re baked. 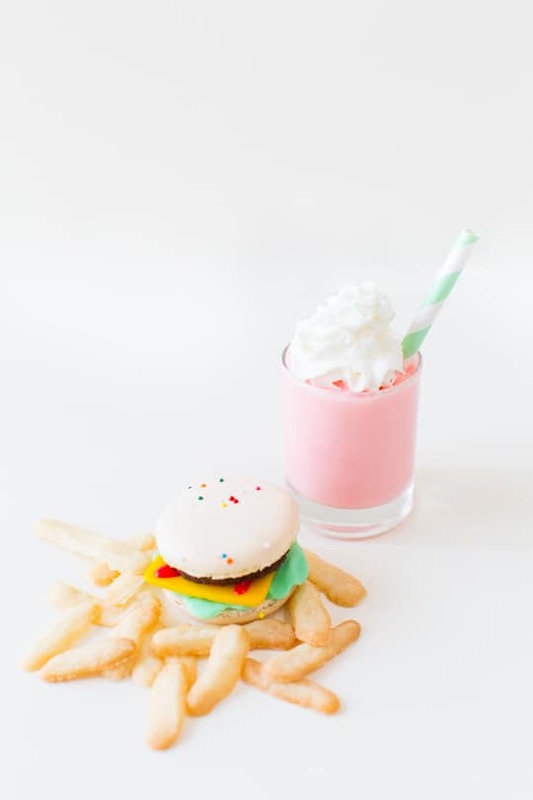 It’s important that the dough be semi frozen otherwise the fries lose their shape too easily once they’re baked. 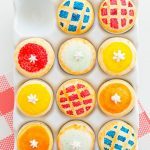 Place them about an inch apart on a backing sheet, and only bake them for about 4-5 minutes instead of the usual package bake time. 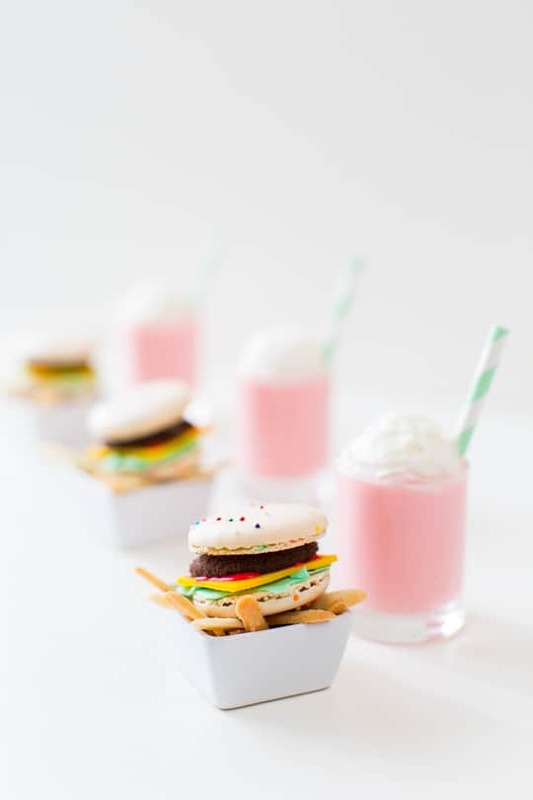 Of course no mini cheeseburger and fries is complete without a mini milkshake, and we needed a little pop of pink to this shindig, so I went with classic strawberry! 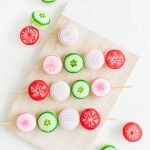 Wouldn’t these be a really cute dessert for July 4th or as mini favor baskets for summer pool parties and BBQ’s? 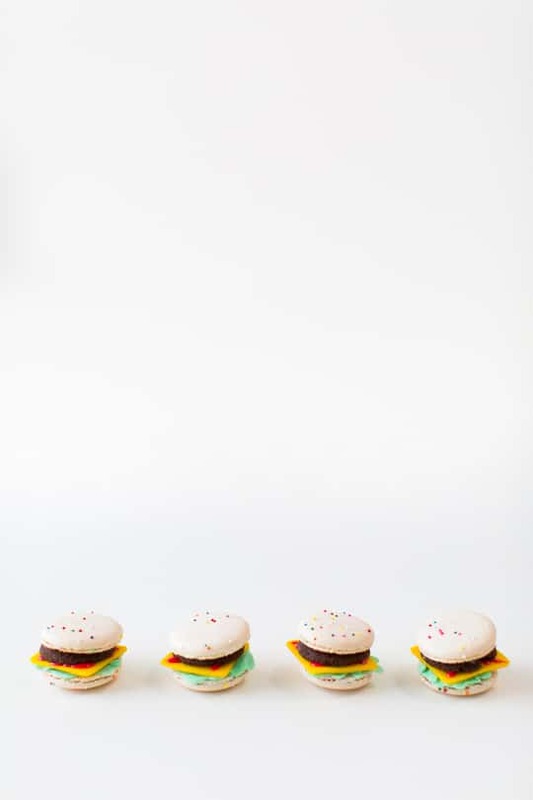 I have about a million ideas for serving these little guys! 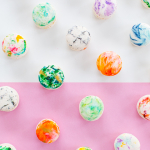 Just in case you make your own, be sure to tag #mysugarandcloth to share your rendition of the projects from the blog so we can follow along, plus you can see more DIY macaron projects right here! What an awesome tutorial, thank you! Ill definitely be trying this! 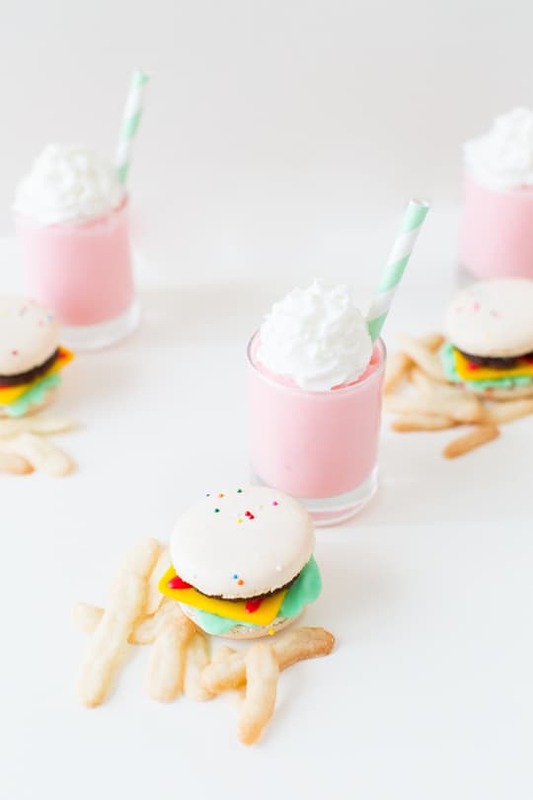 oh my gosh, these are the cutest things! Oh my goodness. These are amazing!!! These are gorgeous! So perfect! Wait, what? Serious? These arent real fries? 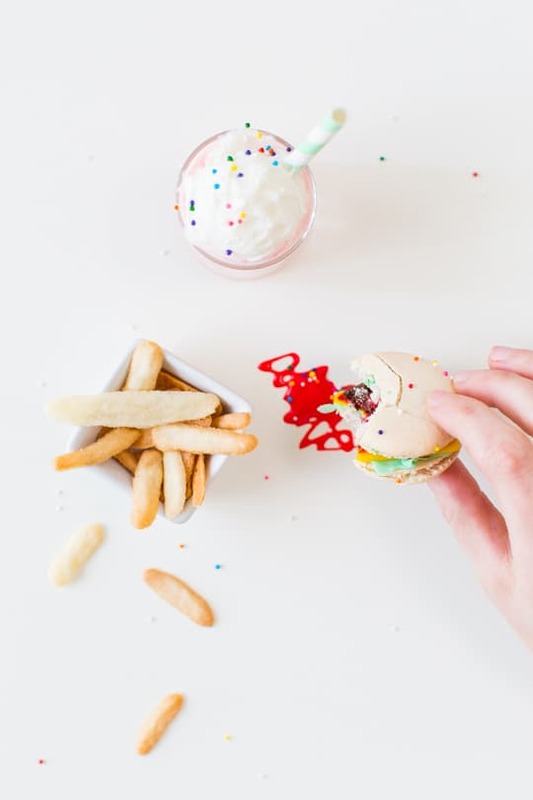 And look at the hamburger,wow… Unbelievable imagination and crazy talent. Hands down one of your best creative projects !!!!!!!!!!!!!!!!!!!!!!! Well, this might take the cake (pun intended) as my favorite project of yours to date!!! SO adorable and perfect. This is so the best thing ever! Love everything that you do! 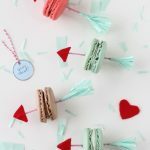 Where do you find the birthday macaroons? Those dishes are adorable, by the way! Where did you get them? whoa, these are quiet something! I can’t believe how cute this look <3. Cooking small things requires a lot of talent, affection and atencion to details. Great job! 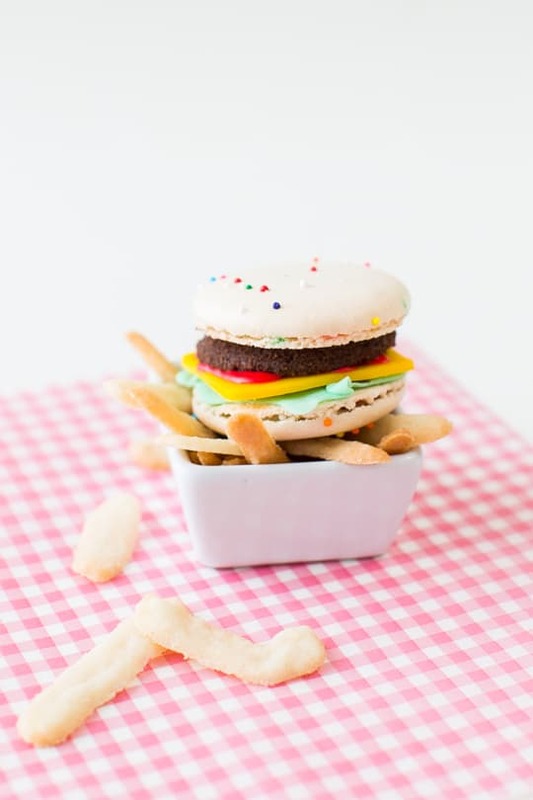 I only VAGUELY knew MACRONS EXISTED untill i FOLLOWED you. Know i don’t know how i lIVed withoUt theM! I think these are my favs! ?